Canada is a big, beautiful country and my home! I encourage you to visit, I can’t tell you enough how helpful and friendly the people are! The rugged country and hearty winters make it a destination unlike anywhere else. If you get the chance to do some yoga retreats Canada definitely take it, you won't be disappointed. Go here if you're looking for: Quiet time in a rustic yet, extremely comfortable, different retreats through out the year. Now these yoga retreats Canada definitely has a large focus on meditation. Within your weekend retreat schedule you actually have 3 hours on Saturday and one more class on Sunday dedicated to only meditation...keep reading! The Shanti Yoga Retreat have an 11 acre property with 1000 feet of shoreline on the St Lawrence River. They host many different instructors throughout the year. Your hosts Darin and Wendy trained in Agama Yoga in Thailand in 2001 and many of the retreats they run are in that style. There are many activities to partake in during your free time, including kayaking, bicycling and beaching on a secluded sandy beach. Enjoy a getaway from it ALL, vacationing of the grid in a sustainable community...keep reading! This is a tiny center that focuses on your own private Kundalini Yoga Retreat. Sat Guru Nomi, has a long list of credentials in many different modalities, obviously it includes a certification to teach Kundalini yoga. The center is small and boasts individual attention...keep reading! A large educational yoga facility situated on a beautiful island off the coast of British Columbia! 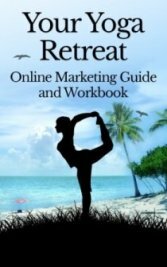 They don't just do yoga but a whole variety of different topics...keep reading! Yasodhara is a gentle hatha yoga with a strong focus on the spiritual aspects of yoga, including karma yoga, mantra yoga, kundalini yoga and dream yoga. Here they offer teacher trainings and various workshops, along with their retreats. Cost: $45 (camping)- $100 per night and lots in between, most rooms are shared. Because I’m from Canada, I’m so proud so to say that Canada has a Sivananda yoga center. 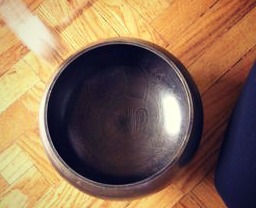 Although I don’t practice Sivananda yoga it still holds a dear place in my heart. 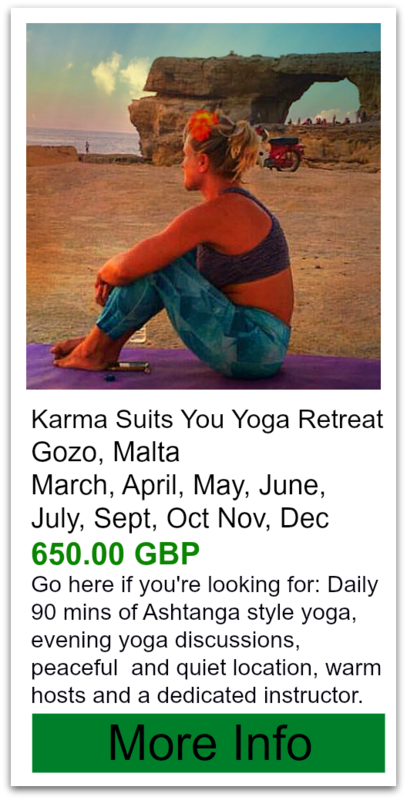 No spandex is allowed (only baggy loose clothing, covering knees and shoulders) and karma yoga is a big part of the deal here. Just by assessing on those two aspects alone one can conclude, it certainly isn’t a fashion show and they understand the power of giving. It was founded in 1962 and 50 years later they’re still going strong. There is a long list of rules to follow, so keep an open mind. There is a busy calendar year planned with many events and workshops. Cost: $120-$300 per person per night- of course this depends on choice of room and length of stay. Reviews: The ratings on tripadvisor sit at 87% and they’ve had a whooping 193 reviews! The pros: Great way to experience the outdoors- free snowshoeing and other activities. The rooms are luxurious with no wear and tear and large in size, friendly happy staff. The negatives: some people were really unhappy about not having air conditioning in a five star resort. They serve mostly vegan and some raw food, they don’t give you alot of other options- some people weren’t prepared for that. Cost: $200-$225 per person per night. 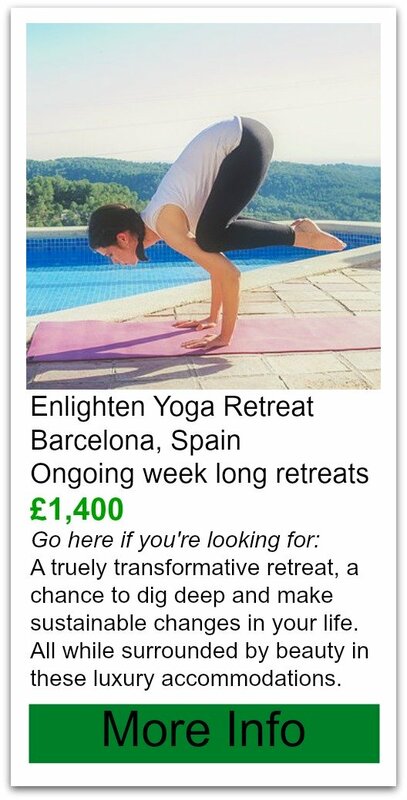 Includes yoga and detox drinks. Choose from a wide variety of services here, including detoxing, weightloss, Kripalu Yoga, stress management, Reiki, Spiritual healing, massage, reflexology and saunas just to name a few. David Gouveia and Ms. Mano McNabb are the founders of Nonpariel and the estate, both have many years experience and bring a great combination of skills to the retreat. For more Kripalu Yoga retreats please click here! Located on a lake with tonnes of private property to explore there are plenty of things to do such as kayaking, canoeing, swimming, hiking or just relaxing. They run a daily morning yoga class, have vegetarian dishes that even carnivores rave about, and Shiatsu massage and a very relaxing atmosphere. Many of the guests are regulars who return annually or even more frequently. Reviews: This sits at 100% for ratings on tripadvisor. The location is perfect, not too far from the Toronto and Ottawa but yet far enough away from that it’s peaceful and serene. Property is beautiful and private and available for hiking. Hosts are Julianna and Mary and make guests feel right at home, and boy can they cook vegetarian food!